Yesterday evening my husband and I were talking about how much we love our newest rescue. He has brought us so much joy. He’s such a good boy too. He’s funny, smart… Just looking at him makes us smile. Rex has shown no favorites… he has showered both my husband and I with more love than we thought we could ever feel again. It’s hard to believe, but Rex is 12 years old already. Where has the time gone? As always when our dog’s age starts creeping up, we have that “talk” … the one that says, “I don’t think my heart can take it anymore. When something happens to Rex, I don’t want to get another dog.” My guess is that you have said the same thing too. Losing a pet just hurts too much, doesn’t it? 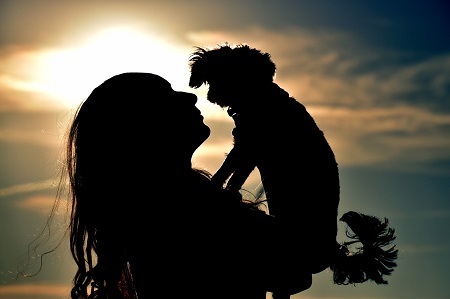 It’s hard to conceive the overwhelming grief that we experience at the death of a pet. It’s often more difficult than losing a human loved one. Why? Many reasons… Sometimes it’s because of the irrational guilt we feel for having to make the decision to end their lives so that they will not suffer needlessly. That is such a painful call to have to make. Another is because of the inability to express our feelings to them during their final moments, wanting them to know that we loved them beyond measure, yet realizing they don’t understand. And maybe it’s because the bond that we have with our pet is often stronger than a human bond, as we have allowed ourselves to love freely without fear of rejection or disapproval. We have opened ourselves up to vulnerability. Their death leaves us empty. Our hearts are broken. We beat ourselves up with “what if’s” and “whys”. And we swear we never want to feel this way again. So, this is what happens… Those of us who have sworn-off having another pet, who obviously once felt the depth of love that an animal companion can bring, turn a blind eye to a pet in need. Someone who has once before opened their heart and gained from the experience of loving an animal, now closes their heart to the many homeless pets in shelters. The truth is, and I say this with all reverence and understanding, “I’m never getting another dog” is a selfish response to our dog’s death. Ever so often at Holiday Barn Pet Resorts, we publish pictures of pets awaiting adoption at many of the local shelters. In fact, last month’s “Serve and Share” posting was the motivation for this blog. The bright, hopeful eyes of pets Bernie and Baldwin awaiting adoption at RAL, caused my heart to ache. I began thinking of all the amazing animals that do not have a home and of the many people are out there who could take them in but won’t. It’s overwhelming. These animals have so much to give if given the chance. Shelter pets, if they could truly communicate, would give anything to have someone to love; to have a home to call their own; to have a purpose for being a dog. We have said over and over that dogs love us unconditionally, but that doesn’t even begin to express the extent to which they love. They adore us. We are their “all”. They would give their life for us. I’m not saying that the day after one dog passes, you should go out and get another. Take time to grieve the passing of your pet. It’s a natural part of the human process to mourn and work through the pain. The intensity of our grief tells us just how deeply we can feel for animals… the capacity to which we are able to love a pet. It lets us know just how much love we have to give. To that end, you then have a lot of love that can be “rechanneled”. Reopening your heart and home to another animal can be a way of honoring the one who has passed away. Sharing your love with another animal is not to say that you are “replacing” or betraying your former pet. Recognize that feeling as being another irrational response to their death. Your passing pup will always have a very special place in your heart and soul, no matter how many others go before or come after him. I speak from experience. Several years ago, I lost a dog that was more like a “daughter” to me (only true pet lovers will understand that emotion). I said it too…” I can’t take the pain… I don’t want another dog.” Then one day only a few months after her passing, I spotted a little furry guy at a pet adoption stand in Carytown. I tried not to look. I thought I wasn’t ready. But my conscience would not allow me to leave that little guy homeless when I had so much to offer him. That little guy was Rex. His love actually helped me work through the passing of Haley, as it seemed he felt the intensity of my grief and wanted to comfort me. He never left my side. If there is one thing our dog teaches us, it’s how to love, right? Play it forward. Love again. Please don’t close your heart. Error: Error validating access token: Session has expired on Monday, 29-Oct-18 09:08:51 PDT. The current time is Thursday, 18-Apr-19 20:02:22 PDT.